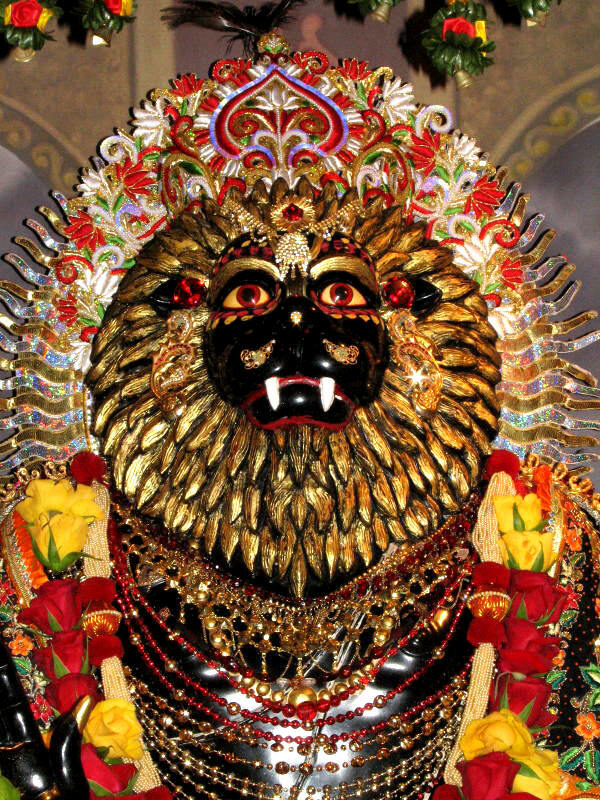 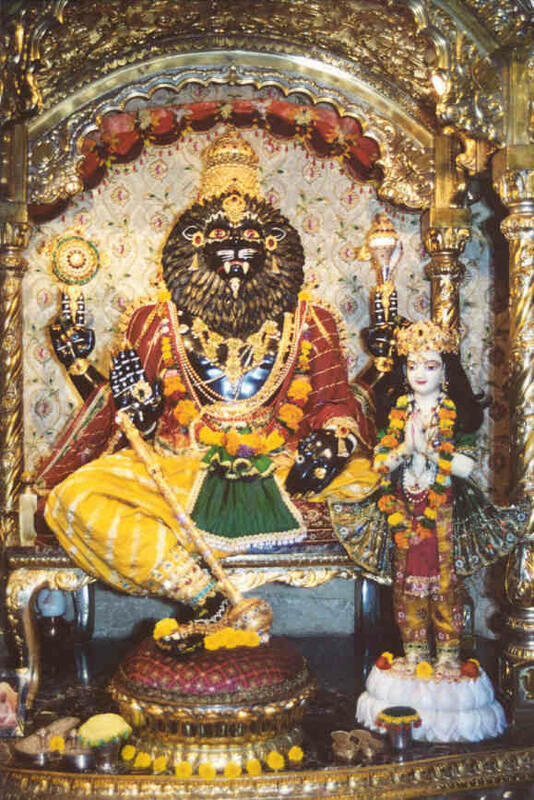 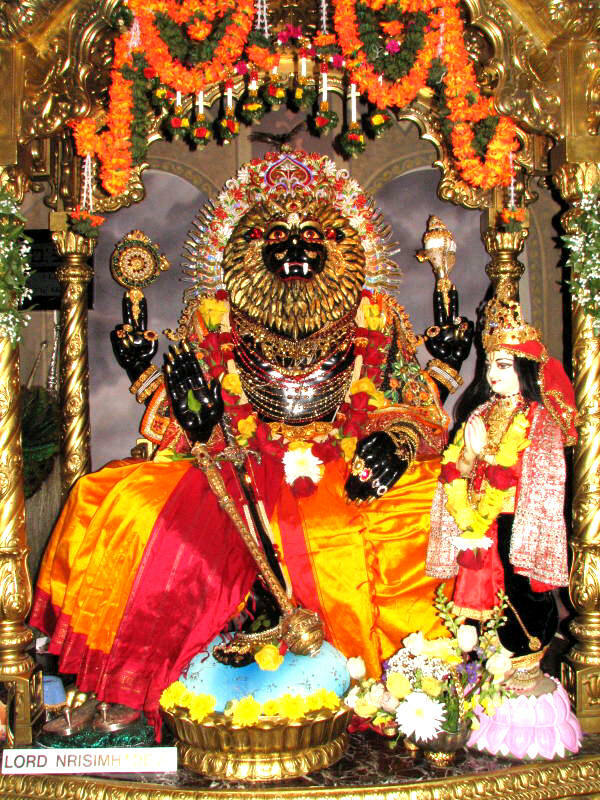 The beautiful Deity of Lord Narasimha, the half-man, half-lion expansion of Lord Vishnu (Krishna) who manifests to protect His devotees, such as Prahlada Maharaja who is standing next to Him. 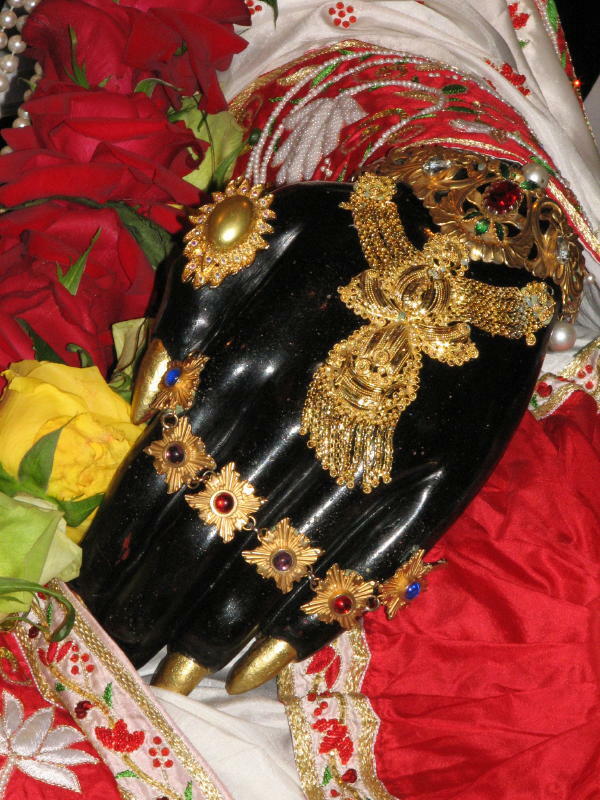 This particular Deity is at the New Vrindavana farm community in West Virginia. 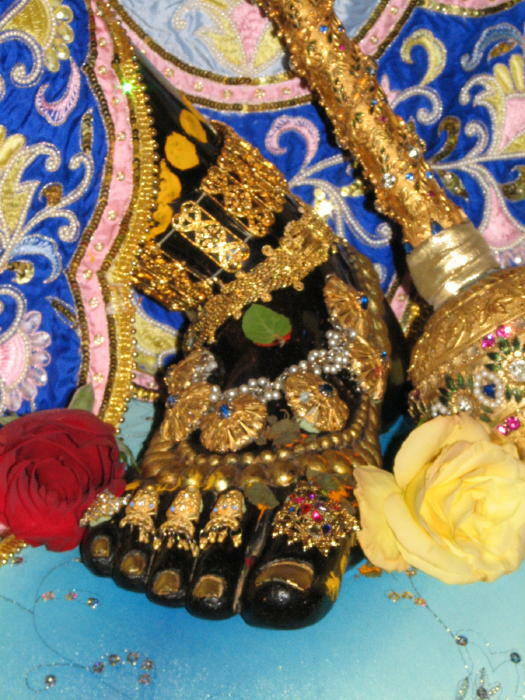 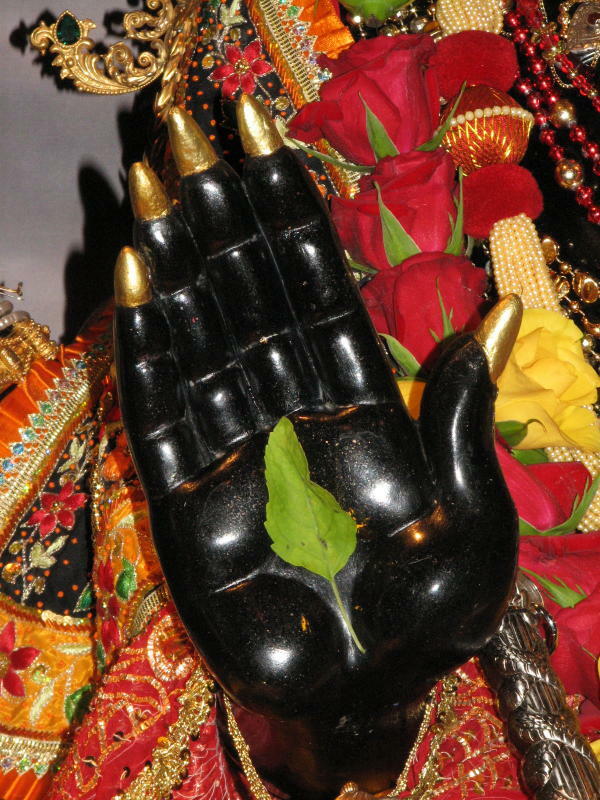 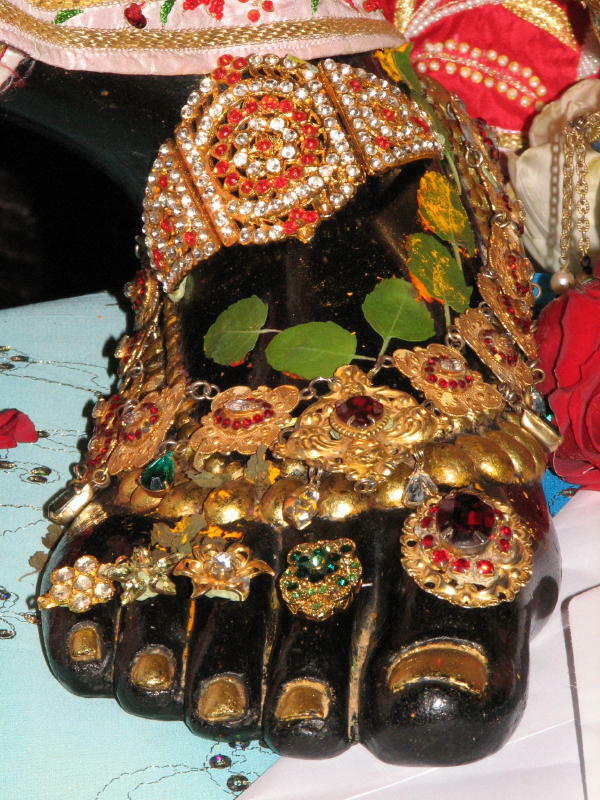 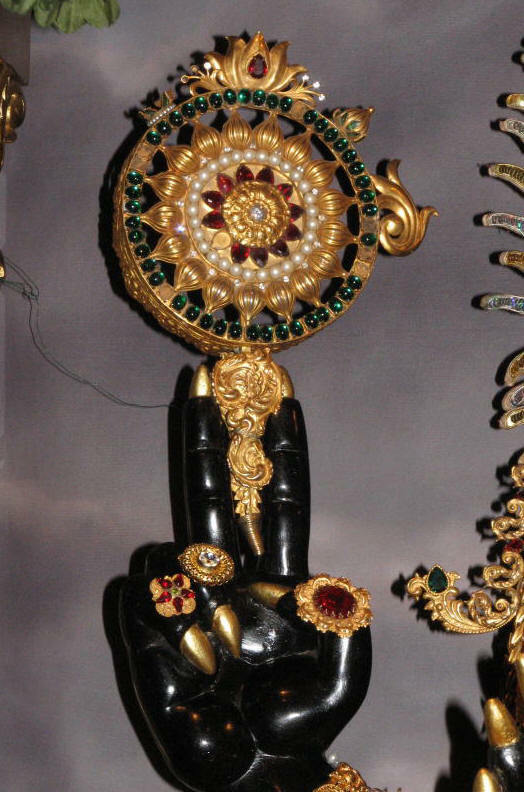 Below are additional photos showing His hands, His chakra, jewelry and His decorated foot.